Team Scared Hitless won the 2017 Employee Wellness Intramural Softball Tournament. 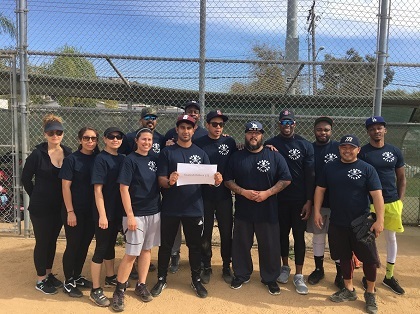 Sixteen teams took the field at Sweetwater Lane County Park on Sunday in the first-ever Employee Wellness Intramural Softball Tournament. The day-long event was a sure hit! Congratulations to team Scared Hitless for clinching the championship. The runner-up was team Center City. Miss out on the fun? Don’t worry, you can click through the gallery.